Demeter “Dare” Senedal is the Queen’s Chalice—her protector and closest companion. So when the queen goes missing Dare rushes to locate her, even though the search leads her straight into trouble. Gaming den owner Bodhan revels in carnal delights, but when a naked and bound woman appears on his shore, his hunger to possess wars with his need to protect. As Bodhan shares his knowledge of pleasure, Dare must decide if she can trust him, both with her mission and her heart. Seraphina always lands on her feet. After all, she is a Felidae—more feline than human—and an excellent thief. There has never been a job Phina wouldn’t take or a man who could tame her…until she meets Cyrus Arendal. As the Queen’s Sword, Cyrus should have known better than to fall victim to a beautiful bandit. Now, to find the dagger that she stole from him, he’ll need to convince Phina not to judge a man by his station, but by how completely he can satisfy her desires. While winds howled and Lake Pontchartrain surged, the borders between the modern city and the Otherworld crumbled. 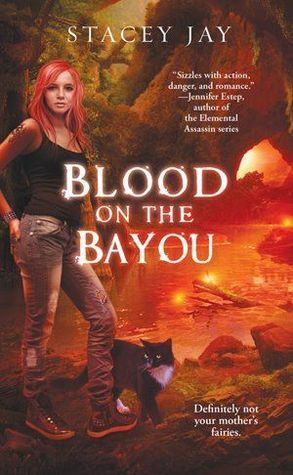 Now, the undead and the restless are roaming the Big Easy, and a serial killer with ties to voodoo is murdering soldiers sent to help the city recover. To make it worse, Gerald St. Simon has gone missing, the wizards’ Elders have assigned a grenade-toting assassin as DJ’s new partner, and undead pirate Jean Lafitte wants to make her walk his plank. The search for Gerry and the killer turns personal when DJ learns the hard way that loyalty requires sacrifice, allies come from the unlikeliest places, and duty mixed with love creates one bitter gumbo. 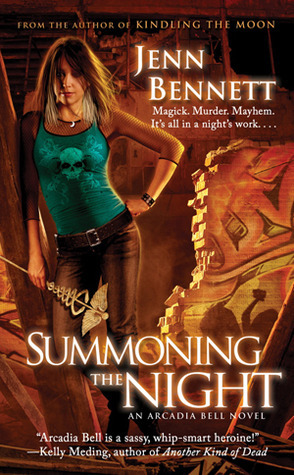 The second book in a new urban fantasy series featuring mosquito-sized fairies with poisonous bites that drive humans insane.It's only been three weeks since Annabelle helped solve the murder of Grace Beauchamp, and in the process, she discovered a secret world of invisible, magic-working people who have decided she might have what it takes to join their ranks.